It's a tale that I believe ultimately speaks of good parenting and what it means to honor one's parents. I went to Taronga Park Zoo yesterday and almost mated with an Emu. So a word of advice is not to get too close to THOSE animals. I'm certainly gratified that my name helps a film like this get made, and it's a film that Phillip has wanted to make for years, and selfishly I wanted to have the opportunity to travel to Vietnam and Sydney, and have the chance to work there. I keep a low profile, so I really don't know. I suppose if it has a practical purpose toward being allowed to work on projects I wouldn't have otherwise...and I appreciate a pat on the back, too. So, I suppose it's rewarding, ultimately. I guess what you would define as darkness serves a purpose: to show us that there is redemption through chaos. And I believe in that. The funny thing is that as sophisticated as the technology gets, the less sophisticated you have to become as an actor. All you have to do is just believe in what's there, then the audience will, too. It's asking actors to do what they're supposed to do in the first place, which is just use their imagination. I don't take myself too seriously. I think if you can treat comedy as normal then inevitably you will get more laughs. Even in adventure hokum you have to stick to the rules and parameters - then give the character a heart. I seemed to often be the outsider. My family moved every few years and I was always the new kid, trying to fit in. As the new boy you had to learn how to assert yourself. Like an actor you had to constantly redefine yourself. I like maintaining a low profile. I'm of the belief that a little mystery goes a long way. I like playing fish-out of-water guys. I imagine it's because growing up, my family moved around a lot, so I was always having to redefine myself in new places. Plus, I was a scrawny kid and I found I could avoid getting clobbered by joking myself out of tight spots. I try to bring that humor to roles. New Updates! (4/23/2019) We've been working really hard on completing our membership system so you can submit quotes and keep track of them. Once this is complete in the coming weeks there will be a lot more quotes by Brendan Fraser and other authors. 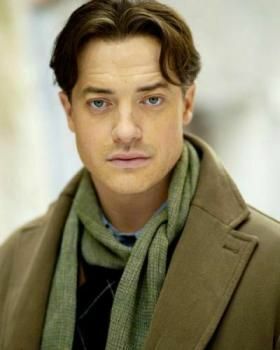 We've also changed the sorting on the site so you now see the latest Brendan Fraser quotes first. Our goal is to have the best Brendan Fraser quotes on the web!